Amendments to MARPOL Annex V (Garbage) concerning substances that are harmful to the marine environment and form of Garbage Record Book were adopted by resolution MEPC.277(70) in October 2016 and will enter into force on 1 March 2018. 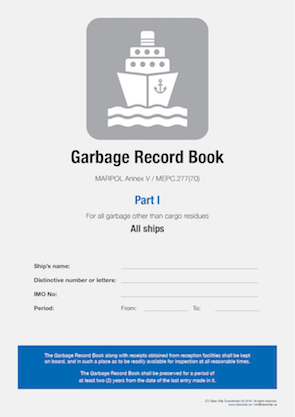 - Garbage Record Book with the new format should be provided on board. - Garbage Management Plan and Placards should be revised in accordance with the new amendments. Contact us for further information and assistance! The revised MARPOL Annex V entered into force on 1st January 2013 and this publication will help the crew to understand the minimum requirements of MARPOL Annex V. The publication includes a checklist for compliance with MARPOL Annex V. Contact us for more information. 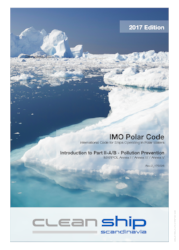 An updated version of our publication 'IMO Polar Code' is published. Contact us for more information. Loipart Group, a world-leading supplier for marine galley equipment, provision rooms and laundry systems, strengthen and expand its business with own designed systems and equipment for ship-generated garbage together with the new partner company A5 Marine Technologies AB. The founders of A5 Marine Technologies have for many years been working with environmental development within the maritime and offshore sector with focus on ship-generated garbage and have as a forerunner earned a good reputation in the market when it comes to cost-effective, compliant solutions and environmental expertise. 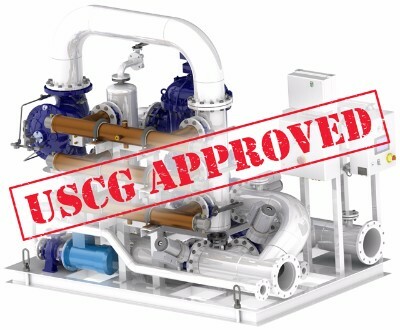 Norwegian ballast water treatment (BWT) specialist Optimarin AS is celebrating today after becoming the first system supplier to gain full USCG type approval. The development, which adds to IMO approval and certification from a host of classification societies, means Optimarin's environmentally friendly UV-based technology now leads the market in terms of global compliance. Clean Ship Scandinavia AB is representing Optimarin AS In Sweden. 21-22 September 2016, London, UK. Presentation from conferences can be found here. Food waste - Clogged pipes downstream the disposer? Common with clogged pipes downstream the disposer/macerator! Contact us - we have the solutions for you!